One may not know what’s going inside the body unless the sign and symptoms give you a hint of underlying health issue. It is not a disease but a sign of an underlying disease condition that may vary from non-serious illness to fatal disease. But what is bilirubin and hyperbilirubinaemia? Bilirubin is a yellow-orange coloured pigment processed by our liver and produced by degradation of red blood cells. The normal bilirubin level in the body is 1.0mg/dl. But when the level of bilirubin in the blood is above 2-3mg/dl, the condition is termed as hyperbilirubinemia. The excess of bilirubin leaks into the surrounding tissues and results in yellow discolouration of the sclera and mucous membrane. As bilirubin is processed by the liver, jaundice in adults is an indication of the improper function of the liver. It is essential to identify the underlying cause of jaundice in adults. Early identification makes the treatment more comfortable. If you notice early signs of jaundice, take the necessary steps to avoid health complications. The treatment of jaundice depends on the underlying cause. Jaundice in adults may be caused due to yellow fever, malaria, tuberculosis, glucose deficiency, certain drugs or during pregnancy. It may be a sign of specific liver problems such as liver cancer, hepatitis, cirrhosis etc. Bile duct malformation may also be a cause. It is preferred to consult a doctor for proper diagnosis and initiation of an appropriate course of treatment. However, some patients can be managed at home as they need only supportive care. Below are home remedies for jaundice in adults to keep the level of bilirubin under check. Opt them in addition to the treatment plan provided by your doctor to fasten recovery. Sugarcane juice- Sugarcane juice strengthens the liver and restores the functions. It keeps the level of bilirubin under check, maintain the level of blood glucose and provides instant recovery. Also, the drink improves digestion. Drink 1-2 glasses of fresh sugarcane juice. Radish Leaves– Radish leaves are very useful in curing jaundice. They act as a blood purifier, improves the supply of oxygen and removes the yellow hue from the skin. In comparison to regular radish, black radish leaves are considered more effective. However, both can be used to treat jaundice. Radish leave juice also addresses other health issues related to the stomach and liver. Take fresh radish leaves and wash them. Mash the leave to extract the juice. Drink half a litre of radish juice in a day for 10-12 days. Tomato Juice– Tomato is a rich source of lycopene. Lycopene is an antioxidant that detoxifies the liver and lowers the risk of liver diseases. Boil 2-3 tomatoes in one cup water. Remove the skin of tomatoes and blend the tomatoes with the collected water to make juice. Add a little salt. Drink the juice at least once in the morning for a few weeks. Lemon– Lemon is rich in vitamin C. Vitamin C is antioxidant. Lemon has anti-inflammatory properties. It protects the liver cells and unblocks the bile ducts. To a glass of warm water squeeze juice of a lemon. Also, add honey to taste. Mix well the ingredients and drink it 2-3 times in a day. Basil leaves- Basil leaves, or Tulasi has lots of medicinal value. It protects the liver and helps in treating jaundice. Chew about 10-12 basil leaves every day. You may also grind and add it to your favourite juice. Turmeric milk- Turmeric contains curcumin that is known to protect and stabilize the biomolecules in the body at the molecular level. It is anti-mutagenic, anti-oxidant and anti-carcinogenic. Turmeric stimulates the production of bile and improve fat digestion. It enhances the function of the liver. Thus, turmeric can be useful in treating jaundice and other liver ailments. To a glass of warm low fat milk add a half teaspoon of turmeric powder. Mix well and drink it before going to sleep. Snake gourd leaves- Snake gourd leaves are well known to reduce bilious fever and fight jaundice. It has diuretic properties. It cleanses the liver, eliminates toxins and normalizes hepatic functions. Soak coriander leaves, and snake gourd leaves in water overnight. In the morning strain the water and drink in small portions. Alternatively, boil 7-10 leaves of snake gourd in a cup of water. Also, boil 10-15 coriander seeds in a half litre water. Mix both the decoction. Drink this decoction three times in a day. Aloe vera leaves– Aloe vera contains saponins. It acts as a natural cleanser. It not eliminates the toxins but also restores the natural balance of the digestive system. Extract the pulp of aloe vera juice and mix the pulp with ginger and black salt to makes a juice. Drink this every morning for a week to 10 days. Chicory plant- All the parts of chicory plant is useful in treating jaundice. Its juice treats liver dysfunction, spleen enlargement and also prevents the blockage of bile secretion. Boil 30-40 grams of chicory plant powder in water for 4-5 minutes. Strain the concoction and drink the mixture two times in a day. Phyllanthus niruri leaves and goat milk– Phyllanthus niruri leaves have anti-viral properties. It is known to cure acute inflammation of the liver and Hepatitis caused by a virus such as Hepatitis B and Hepatitis A. Also; it has been found useful in treating jaundice problem. On the other hand goats milk is rich in vital nutrients and antibodies that help in treating jaundice. Clean and grind some mature Phyllanthus niruri leaves. Mix it with a cup of goats milk and drink it empty stomach. Drink it for 10-15 days. Papaya leaves– Papaya leaves contains enzymes chymopapain and papain. Both the enzymes support digestion and treat hepatic issues. Tale 2 papaya leaves and grinds them to make a paste. Strain and extract its juice. To a half tablespoon, papaya leaf juice add tablespoon honey and consume it. Barley water- Barley has antioxidant and diuretic properties. It flushes out toxins and bilirubin out of the body. Add a teaspoon of roasted barley seeds powder to a glass of water. Add teaspoon honey to taste. Mix well the ingredients and drink the mixture. Bael leaves– Beal leaves treats not only diabetes but also have the capacity to reduce the effect of jaundice. Clean some bael leaves, grind them and make juice. Add little pepper powder to it and drink it. You may also add sugarcane juice to taste. Green grapes- It is believed that green grapes absorb the yellowness and enhances the function of the liver. It improves the level of serum bilirubin. Consume a cup of green grape juice daily for a couple of weeks. Chamomile tea- Chamomile tea improves the hepatic functions. It has anxiolytic properties. Mix a teaspoon of dried chamomile flowers to a cup of boiling water and steep for 15 minutes. Consume this tea 2-3 times in a day. The home remedies for jaundice have been used for ages. They effectively flush out the excessive bilirubin out of the body and detoxify the blood. Also, they promote healthy functioning of the liver. Home remedies for jaundice have no side effects, but you must ensure you are not allergic to any particular ingredient. In most of the cases of jaundice, it takes ten days for the sign and symptoms to subside, but full recovery may take a month depending on the bilirubin accumulation. Whole Grains- Whole grains are rich in fibre, antioxidants, minerals and healthy All these nutrients are liver friendly. Lean Proteins– Patients recovering from jaundice should include lean protein sources such as legume, tofu and fish in their In comparison to red meat, lean meat puts less pressure or stress on the liver. Consume oily species of fish such as mackerel and salmon that are rich in zinc and omega-3 fatty acids that aid metabolism of proteins and carbohydrates. *Instead of fruit juices eat whole fruit as they are rich in fibre. cruciferous vegetables for example broccoli, Brussels sprouts and cauliflower. Legumes And Nuts– Legumes and nuts are rich in proteins, phenolic acids, vitamins and antioxidants. Also, they are rich in healthy fats and fibre. Consume tree nuts such as walnuts regularly to improve the function of the liver. Water- Hydrating yourself is very important to recover from jaundice. Water eases digestion and flushes out toxins. Drink at least 2 litres of water every day. Herbal Tea And Coffee– Herbal tea is rich in antioxidants. Caffeine promotes digestion. Drink herbal tea 2-3 time in a day. Drink coffee in moderation. Consume foods rich in calcium, magnesium and iron. Eat vegetables and fruits raw or steamed. Fruit juice fast is found to be useful for about one week. Preferred vegetables are drumstick, bitter gourd and spinach. Avoid forceful eating. Add only the foods mentioned above to the patient’s Do not yield to patients demand considering that eating something is better than eating nothing. Plain water may cause nausea or distention so better add a teaspoon lemon juice, grapefruit juice or lime juice to it. Avoid too much intake of salt and water, or it may upset the mineral balance of the body. Avoid too much intake of glucose and water, or it may cause loose motions. Eat light and easily digestible foods such as Dal- steamed rice, oats, and rotis with minimum fat. Consume only fat-free toned milk. Vegetable and clear soups are recommended. You can use unsaturated fats such as olive oil in moderation. *Before making any dietary changes seek your doctor advise. 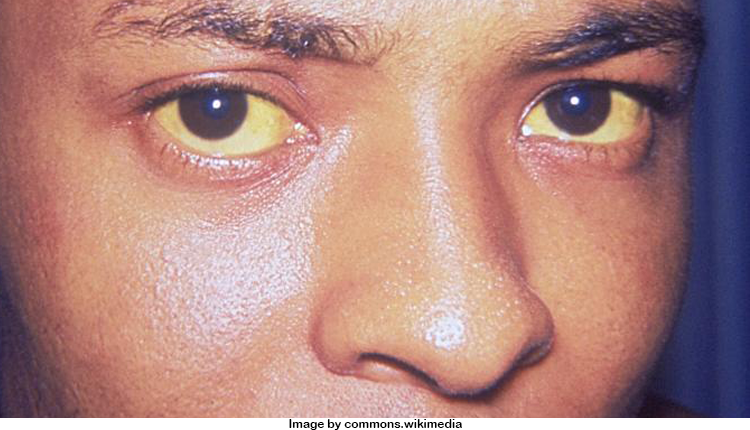 When you have jaundice, your liver is weak. So better avoid the foods mentioned below as they are hard to digest, or your condition may aggravate. Besides home remedies for jaundice and following diet recommendation take adequate rest for fast recovery. To minimize the risk of jaundice in future and improve the function of the liver, eat a healthy and balanced diet.